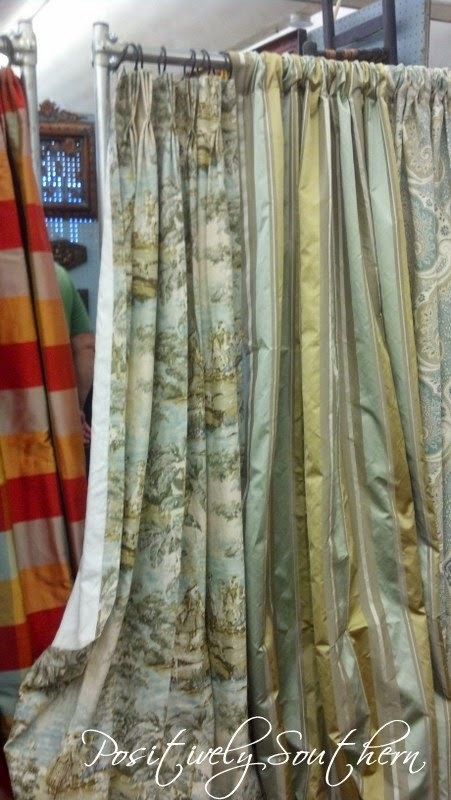 During the process of having my custom drapes made I know I went on and on about them. 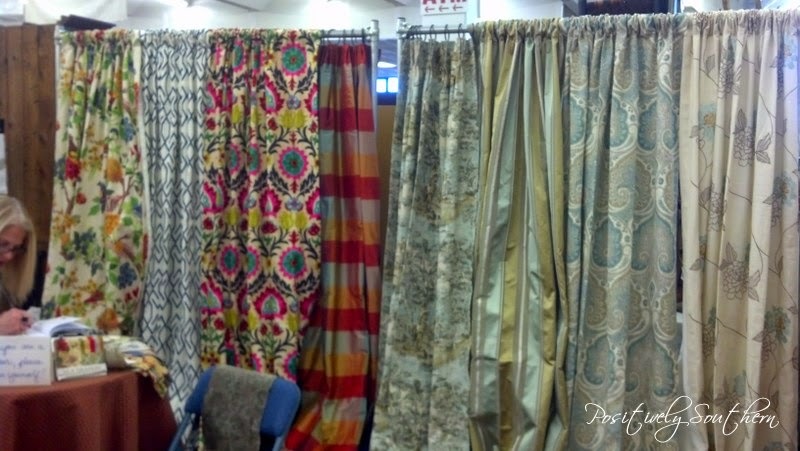 They really are my dream drapes as I blogged about them here. I still love them as much as I did the first day they were hung! The right window treatments can really make or break a room! 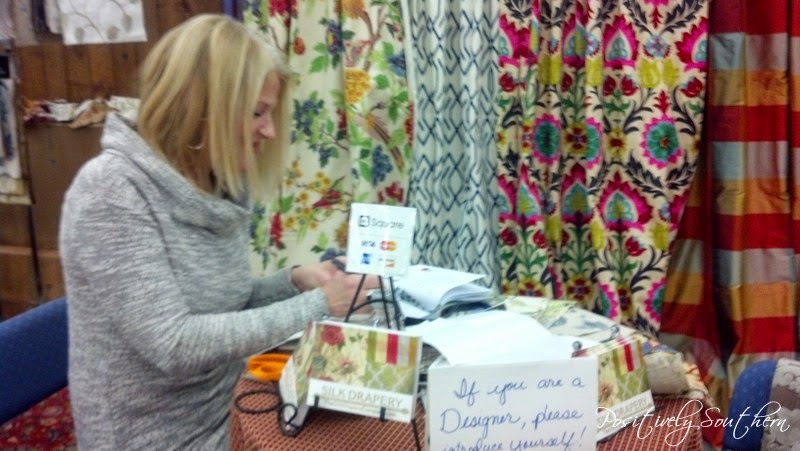 On a recent trip to Scott's there was a new vendor there, The Silk Drapery Company. What immediately caught my eye was a drapery panel that was exactly like mine! One of the Co-Owners, Robin Chandler was there that day to help us with any questions we might have. Robin is absolutely a doll, so very helpful with all of our questions! 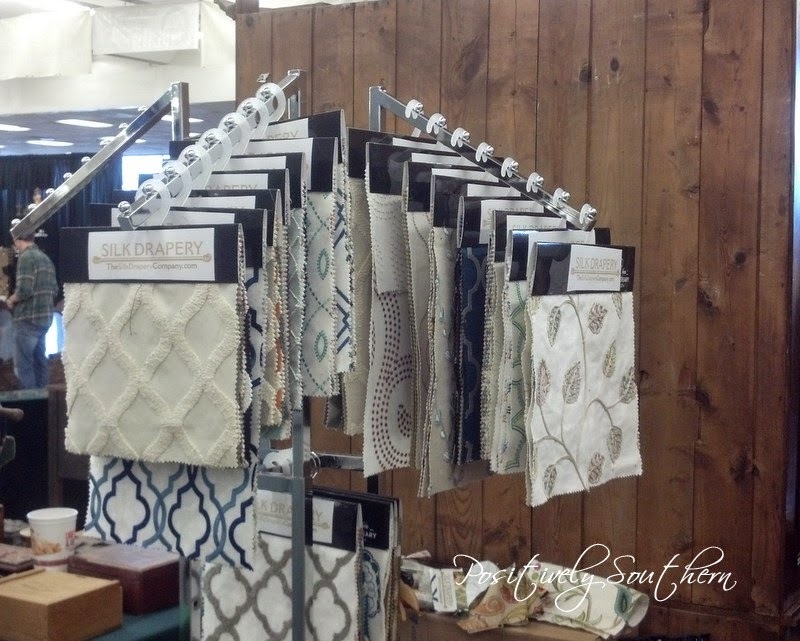 They brought a beautiful selection of panels and fabrics to Scott's. Their website is filled with fantastic examples of what they can do! Gorgeous right?! The prices are very competitive. They are also happy to ship so that totally makes it doable for so many of us! 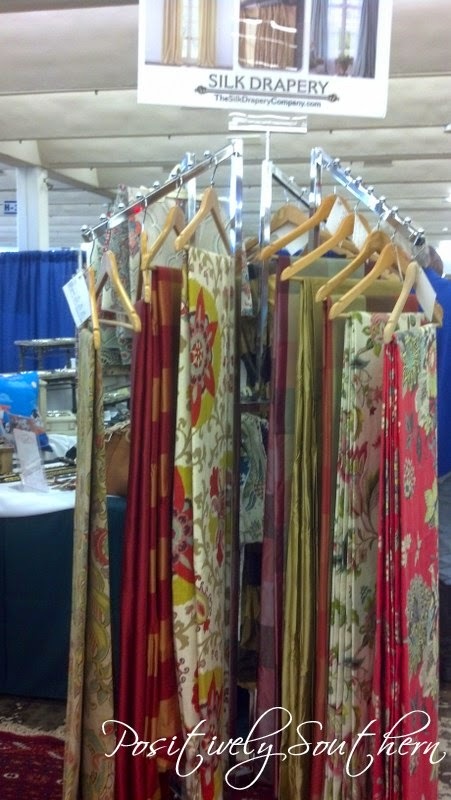 You can bet there are more drapes in my future and you can for sure know that I will be using The Silk Drapery Company! Silk Drapery Company has a store front in Atlanta, Ga so if you are local they are happy to schedule a consultation with you. I need drapes SO bad!! We have been in this house for 2 1/2 years now and I still have God awful pull down shades in our master bedroom! OMG, it is embarrassing! Thanks for this recomendation.